The continuation of the theoretical book about one of the most popular openings nowadays. The first book which was published in May contained all variations with 3.cxd5 Nxd5 and 4.e4 positions, while the second part of the book includes all the other possibilities for white. 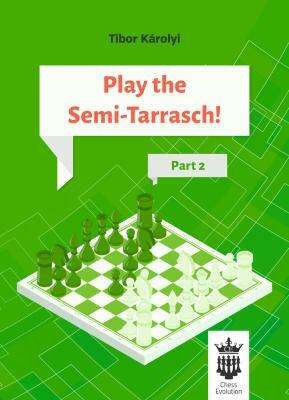 Having the two releases, the reader will have a full Semi-Tarrasch repertoire for Black.